What is the Three-D Printer Technic? A model is made through the technics of imaging on three D Printer by three D-CT scans and transformed into SDL (Selective Deposition Lamination) file. It appears as the same physical part of the human body where the operation needs tackling. After the surgeons practice on the model, the possibility of mistake is nil. The doctors discuss, experiment and reach the spot required to do the surgery. They use the minimum time and also the shortest safe way to reach the place to be operated. Benefits: It enhances the chances of the patient surviving the operation. So far the success rate of was 40% in case of complex operations. 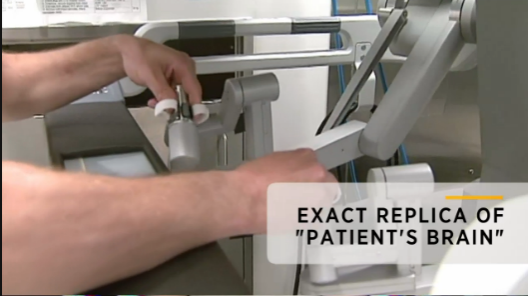 It has now improved the earlier results where either the patient would die or be a victim of paralysis. The Operating time is 30% less. The operative team of Doctors has the benefit of practicing before the surgery. Therefore, the operation. becomes easier. The side effects get limited. The new technique can tackle the Craniovertebral Junction anomaly, aneurysm surgery, cranioplasty and head and other complex operations and also in ortho and plastic surgery. Nowadays simulators are prepared for the residents so that they may feel and can get started exploring the practical world, alternately of merely watching.